This is the first book I’ve read by Sara Shepard. The Pretty Little Liars series at the time didn’t peak my interest. However, after reading this I may give it a shot. 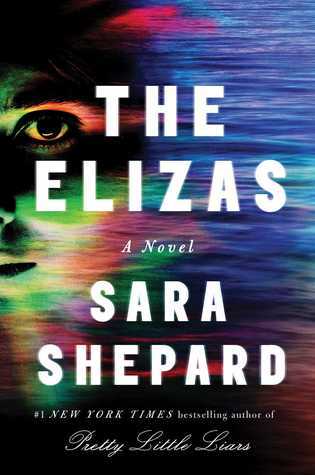 The Elizas is Shepard’s first adult book and you can really tell that while reading this. I wanted more personality from Eliza. Something else other than her illness and what happened to her. Some form of connection was missing and when I finished the book, I wanted that. The overall plot was slower than I expected but I do give Shepard credit for creativity. Despite the predictability earlier in the book, how she ties everything together makes a lot of sense and it shows that Shepard can pull some twists and turns. I was impressed and that is why I want to read Pretty Little Liars now. Overall, this wasn’t a bad read. But isn’t something that I would read again but I do know a few people that would enjoy this book that is why I would recommend it.